• The Link: "My boyfriend spied this red heart in his mom's garden. 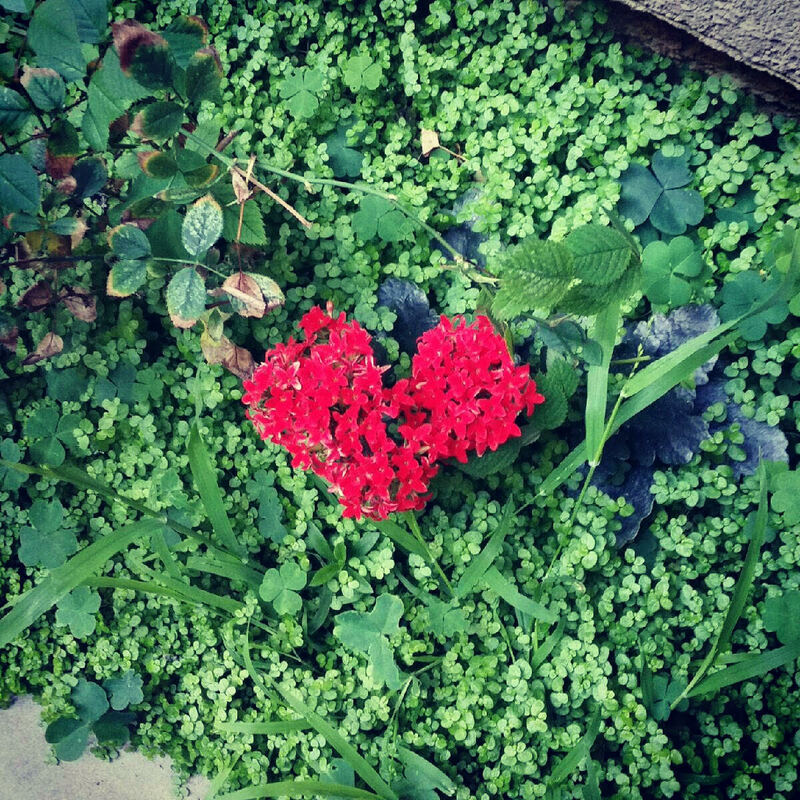 He said his mom probably didn't even know there was a heart shape there... A heart grows best in a garden filled with love, care, and sunshine." 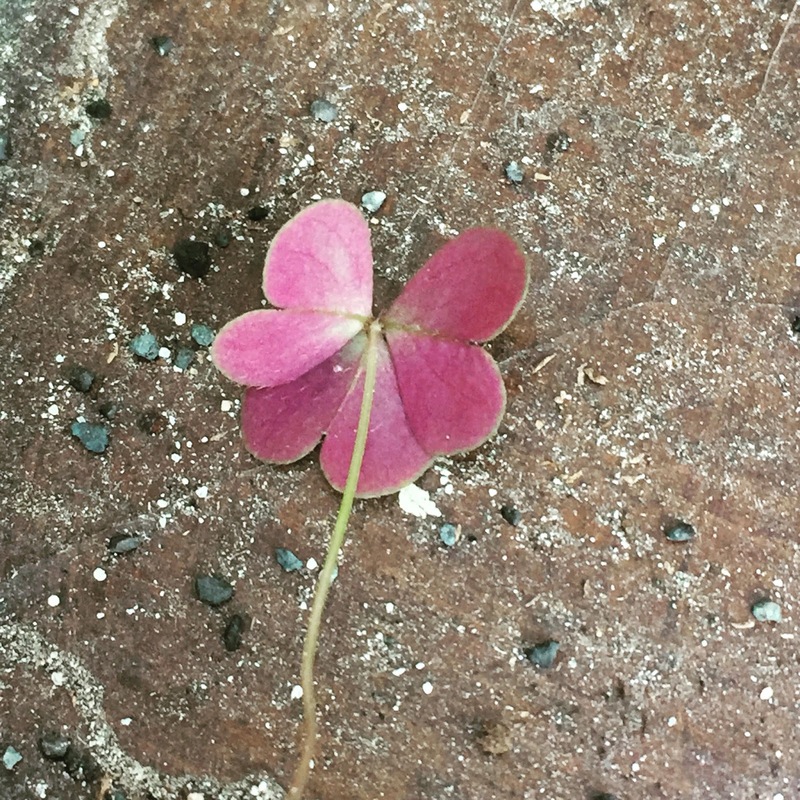 • The Link: "Hearts can be found anywhere—like flipping over a three-leaf closer and finding these sweet fuchsia beauties." First one is a new favorite.